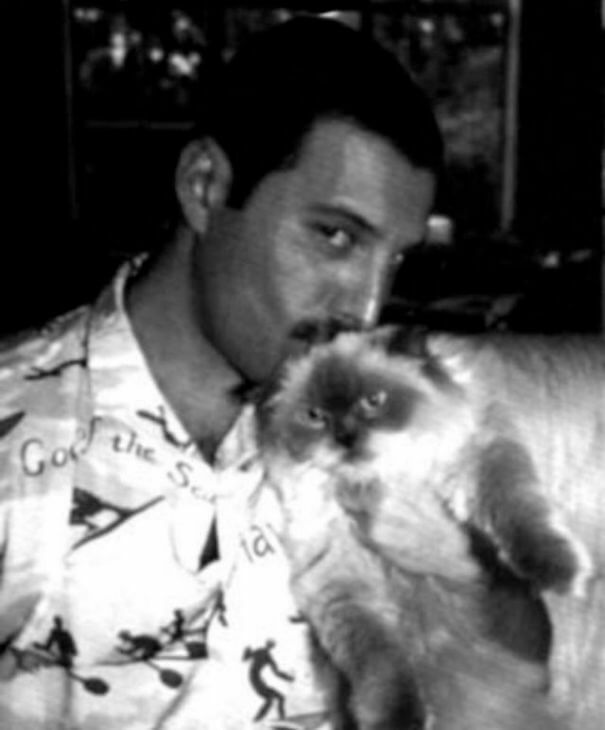 If you’re a big fan of Freddie Mercury then you’ll probably know about his love of cats. 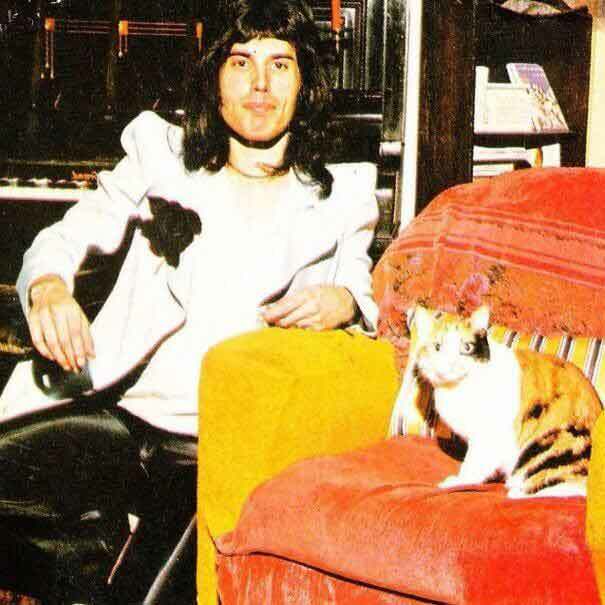 In fact, he loved them so much he even wrote a song for his cat Delilah and dedicated albums to them! 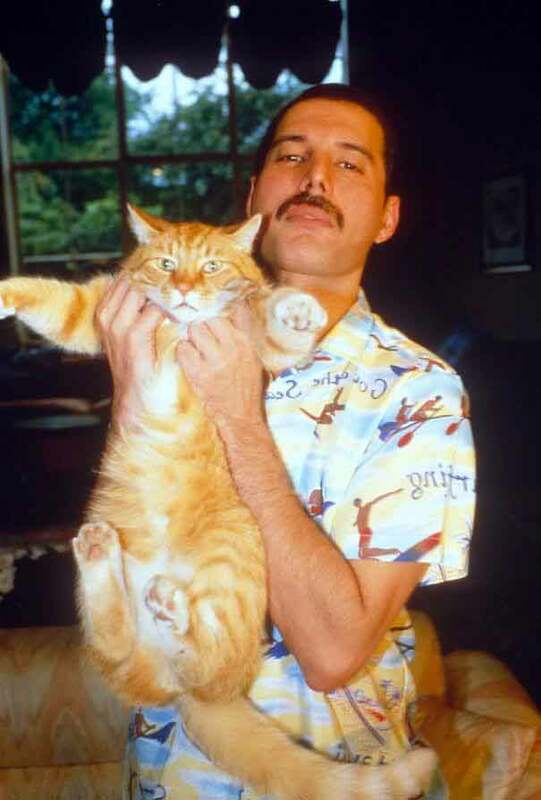 Freddie loved them all, but his absolute favorite was Delilah, a big, tri-colored tabby that he adopted in 1987. 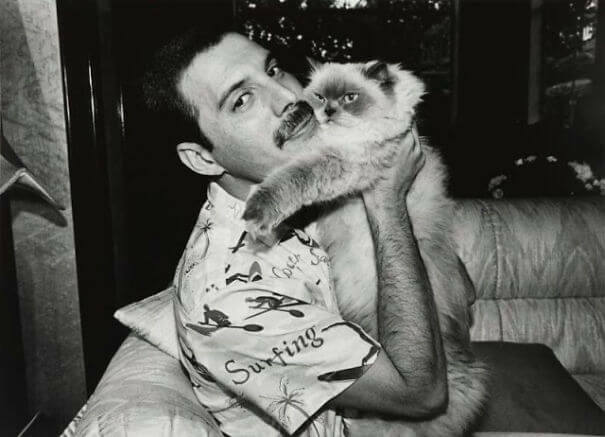 This passionate singer loved her so much that he dedicated a song for her on Innuendo, the band’s last album before his passing. 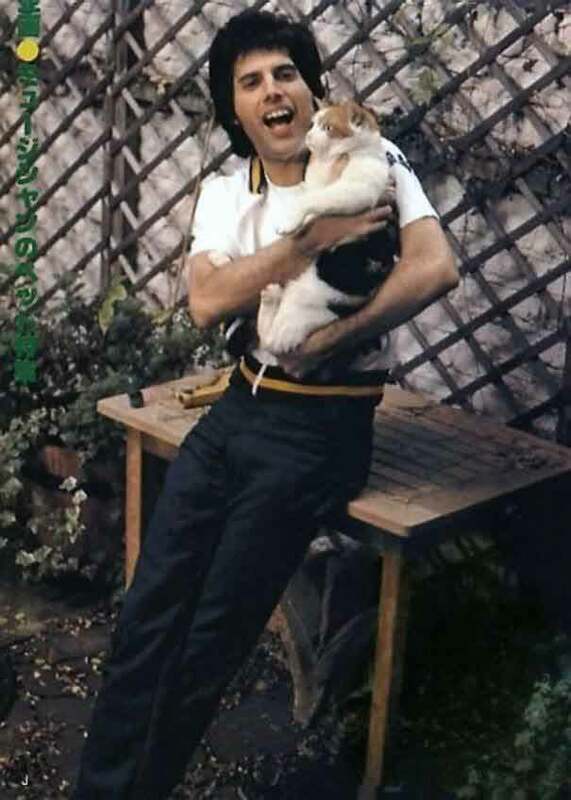 But the song “Delilah” was not his only cat tribute on the album, when he posed for the album cover he had a cat sitting on each of his shoulders, and another on the top of his head. 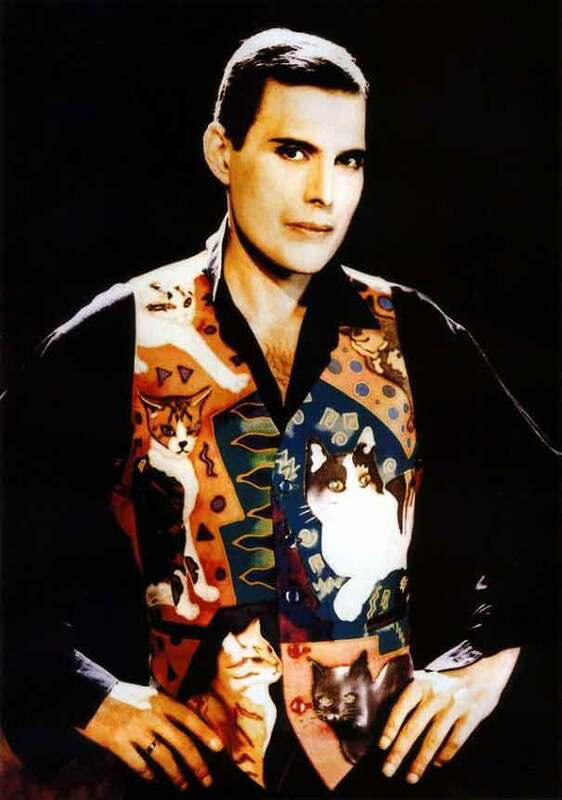 And in the music video for the track “These Are the Days of Our Lives,” Freddie was wearing a vest custom-made for him, adorned with images of each of his cats. 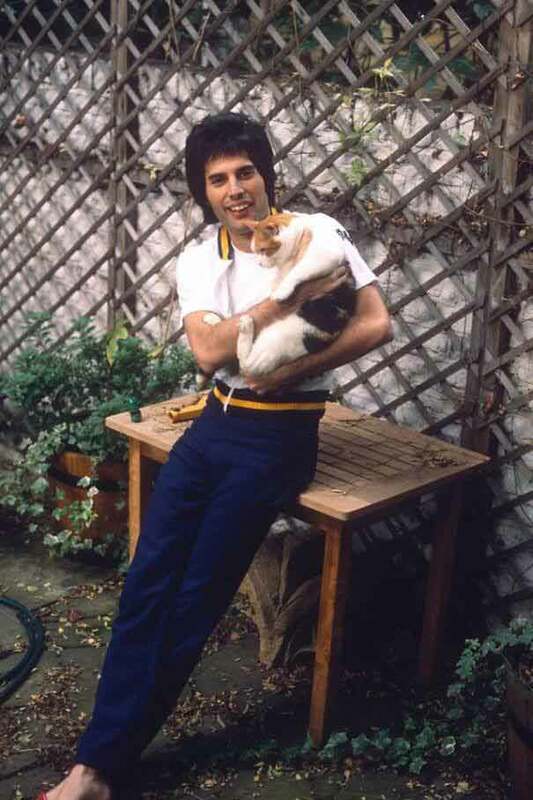 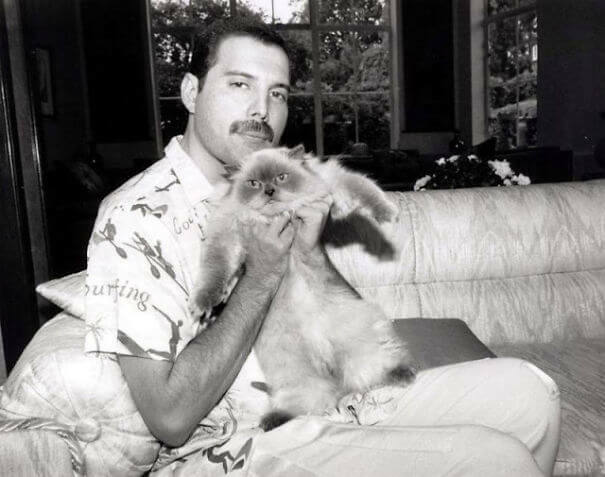 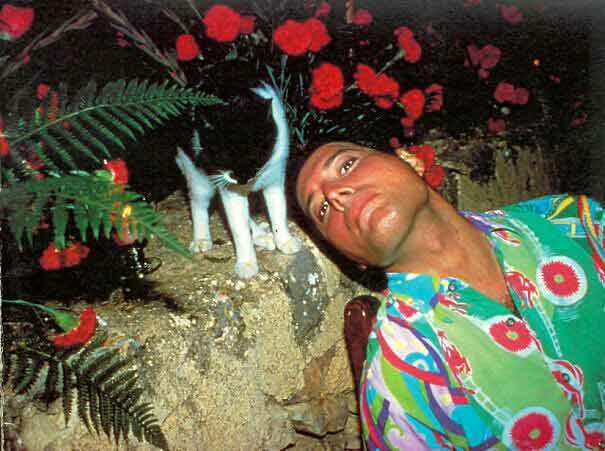 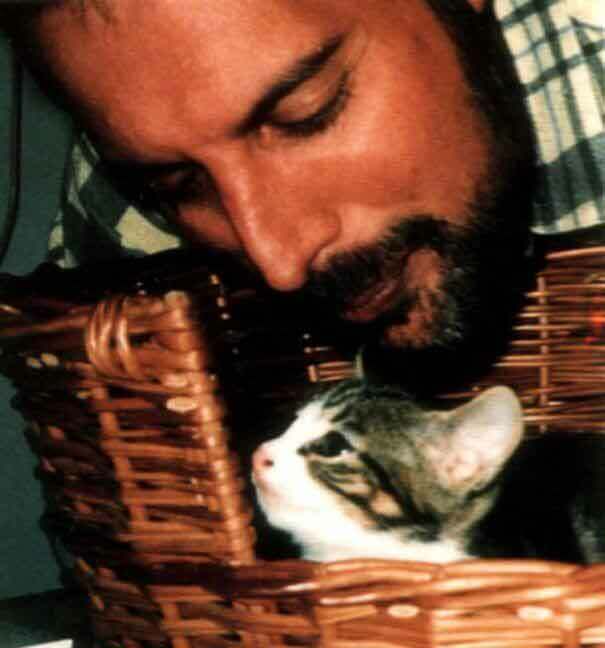 It is said that Freddie had around 10 cats in total, there was Tom and Jerry, Tiffany, Dorothy, Delilah, Goliath, Lily, Miko, Oscar, and Romeo. 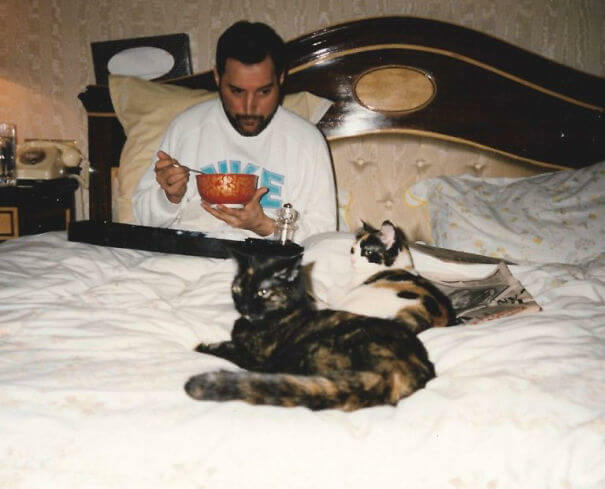 They were his family and he treated them like his own children. 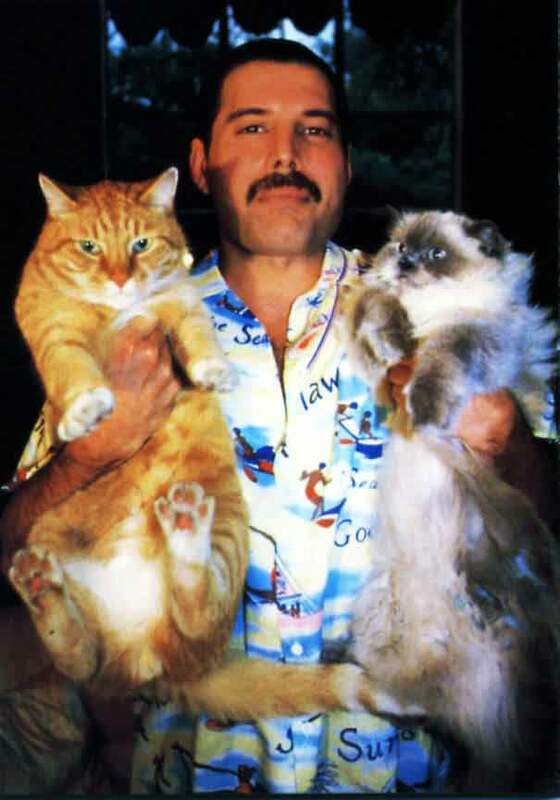 he always made sure that each cat had his or her own special gifts for Christmas. 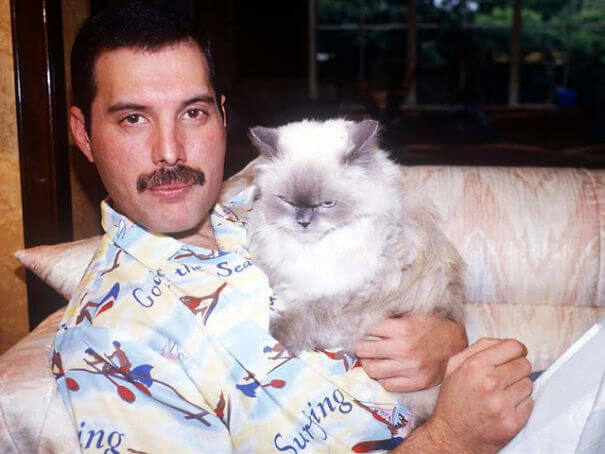 Click here to see that celebrity ladies love their cats too!